Happy holidays, you guys! Today I'm so thankful that I got to spend Christmas Day with my entire family. Yes, all four siblings under one roof with the parents, plus a visit from grandma and my aunt in the evening. What did we do with our precious limited time together? 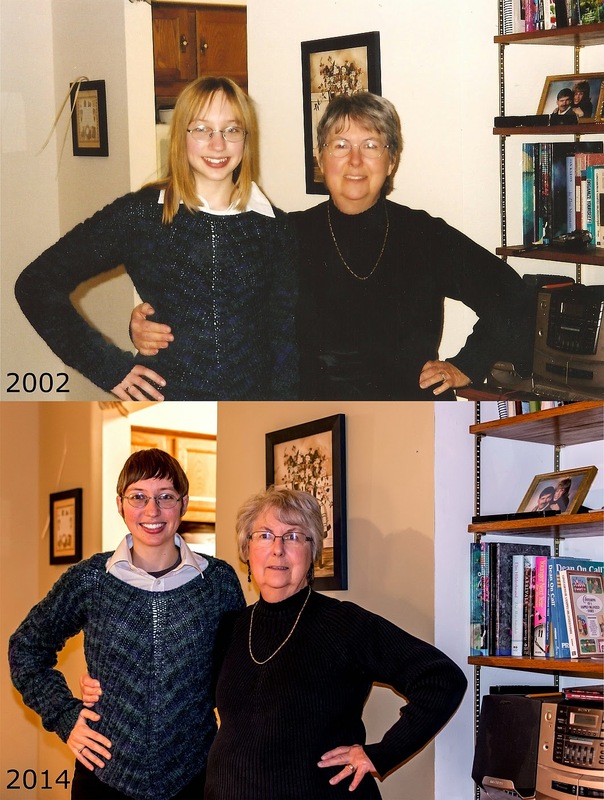 Why we re-created family photos, of course! It was more exhausting than you'd think, to first find all of the necessary props and clothes, reorganize that part of the house to match its past self, and then getting everyone all lined up in just the right positions for the retake. It's a pretty awesome outcome though, if I do say so myself. Totally worth it! It's also been fun receiving holiday cards from others, and equally fun to send out the 20 or so holiday cards that I ended up mailing out on a whim. My mom has the best card-making/scrapbooking materials, which makes sending snail mail from home even more of a delight. 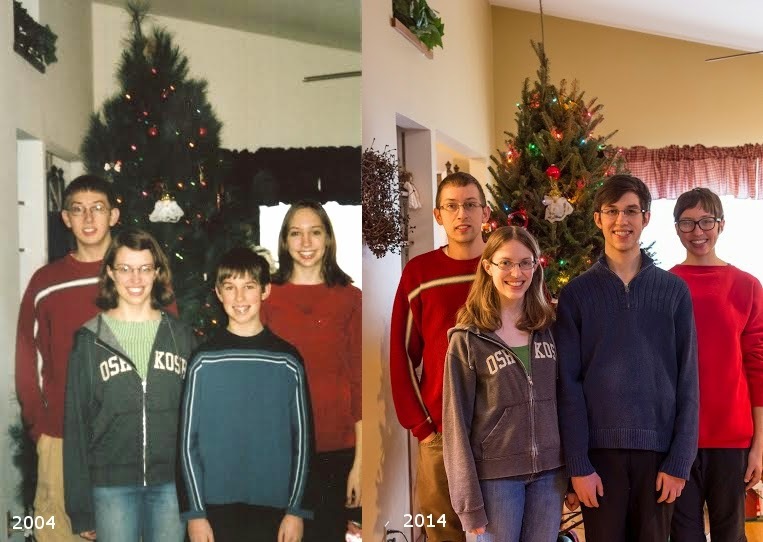 We have two more family Christmases coming up this weekend, one on each side of the family. May your holidays be merry and bright, and filled with gratitude! Now I'd love to hear from you: How are your holidays this year? What's something you're thankful for today? I love that idea so much. 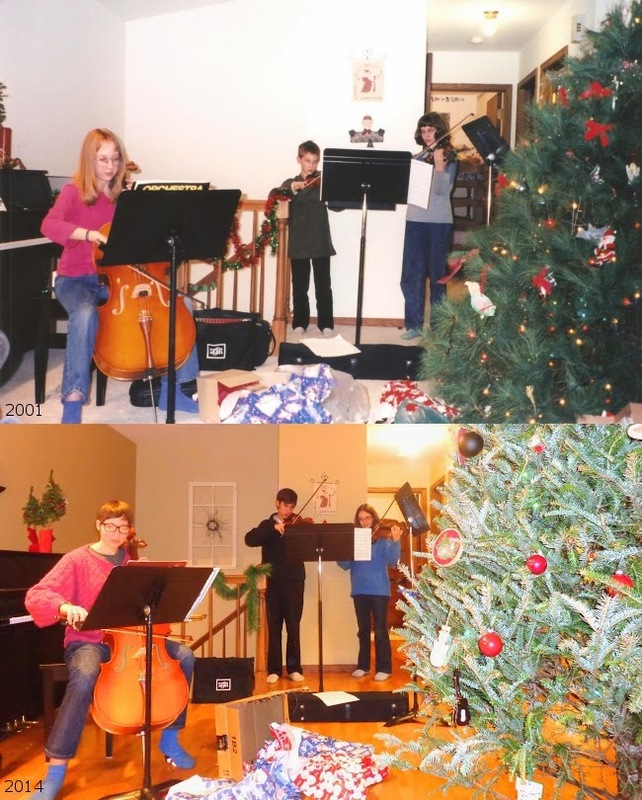 I wonder if I can persuade my family to recreate old pictures one year. Thanks! Yeah, you should totally give it a try!